PowerPoint, despite some negative reviews and thoughts about its use in the classroom, can still be a valuable tool for teachers to use to present information. It's not really PowerPoint that is the issue, it is generally the creator of the presentation and presenter that is the problem. Well, MagPointer hope to help with the presentation aspect of PowerPoint. With MagPointer, which is a downloadable extension for PowerPoint, allows users to interact with the content on slides by framing, zooming, focusing, and enlarging aspects of a presentation. MagPointer is currently in Beta and can be used for free for 60 days. After that, it will be an introductory price of $9.95. If you feel like this is something you would be interested in, here are some other features that could be used with your presentation. Clipular is a service that allows users to quickly and easily take a snippet of a website or take a complete screenshot and then save them as bookmarks so that user can annotate them. Using Chrome there is an extension that will provide users with the ability to use the tools and access their "scrapbook." Users can also "right click" their mouse to get the clip service as well. There is also a keyboard shortcut as well. The Magic Wand allows users to add effects, stickers, crop, draw, and add text to their capture. Once created, users can search for the text inside the clips or by the tags given to the captures. Users can also share their captures from within the app. Worth taking a look for capturing information from the web. For more information, see the video below. KeepOne is another option for storing bookmarks. Users can sign in with Facebook, Twitter, Google+, or through an email and password. KeepOne is currently in Beta and easily allows users to organize photos, videos, texts, and other web information all in one place. You can also share what you save with others that use the service. Sign up now and new users will be rewarded with VIP privileges and services. eyeReport is currently an Apple Device App that allows users to use both of their cameras on their iDevices at the same time. Through the software users can do a picture in picture video and capture facial expressions, thoughts, and ideas while making a video. Once the videos have been created users can email them or upload to various social networks. Teachers could use the software to add their voice and face to a lesson while filming the blackboard. I could see this app increasing the video capabilities on mobile devices in the classroom. The app will let users record a clip from the rear camera and then when you finish it will flip to the front camera and let users record from that camera. eyeReport will then create a PIP box so users can see what was recorded from the front and rear camera. If you already have a video on your camera, you can add the PIP feature to it. + Overlays a second video captured by the front camera on a first video captured by the back camera, while the first video is being played. + Produces composite video from both front and back cameras of your iPhone. + Superimposes the user's face as picture-in-picture on your video. + Saves and stores your composite videos for future sharing. + Takes an old video stored in your iPhone and opens a window for overlaying as picture-in-picture a new recording of front camera. + One-click sharing of your composite video on facebook, Twitter, YouTube and mail. + Turns your old movies into composite videos featuring you as observer, commentator or participant. + A way to create dedicated communities for news reports, entertainment information or educational online networks. I think that I have finally made the change over to Google Chrome as my browser of choice. I truly had not become aware of the ability to use the apps available within the browser and how easily it makes it to connect to outside apps that I find myself using all the time (Evernote, Reader, Blogger, etc). While doing a Google Search I discovered/noticed an option for "Applications" within the options where you can select Images, Maps, Shopping, etc. By clicking on the Application link users will be provided applications related to their search. You will be able to find apps for iTunes, Google Play, and Google Chrome. This could help if looking for tools for productivity or organization. It could also help if looking for reference tools and other information. For math teachers and the growing use of technology it can often be hard to locate, create, save, edit, and use various math formulas on various web 2.0 tools and other software available to teachers. Formula Sheet aims to make it easier for math teachers to find, share, store, and use math formulas. Users can search the site and Wikipedia for formulas and then get an image or copy the formula to LaTeX or MS Word version greater than 2007. Users can create an upload a LaTeX file with a single click or create formulas using an editor and then provide a title, description, and tags to each formula. All the formulas will live in the cloud and be accessible from any computer. The formulas can be organized into lists or combined with texts and diagrams to create sheets. Formulas can be shared with other users, the entire web, and with students and other educators. Formulas can then be customized to various formats as well. If you are a math teacher and users of technology, Formula Sheet is probably worth an examination and I would like to hear in a comment if you see this as a valuable tool in your classroom. Now that you have a Generator, Reader, and some background knowledge at your disposal, how can you use this service in your classroom? When you create a QR Code you will need to copy and paste it to whatever you will be sharing with your students. Below are some ideas. 1.) Create a "QR Code Corner" in your classroom and use this area to have QR Codes that lead to weekly or daily assignments that you post on the web or it could link to interesting facts, videos, stories, etc that you think students would be interested in. 2.) Place a QR Code on assignments that will lead students to websites that will provide further assistance or more information about a homework assignment that students will be working on. 3.) Place a QR Code on notes home to parents that will link to a webpage or classroom newsletter that will have more information for the parents. 4.) You can use a service like Tag My Doc that creates an add on for Microsoft products to automatically add a QR Code to your documents and make sharing those documents with students even easier. 5.) On an assignment, provide QR Codes that link to resources for students to confirm their answers. Provide an amount of time for students to work on the assignment and then an amount of time to discover the answers. 6.) Print out QR codes for content related to information in a textbook, magazine, or book the students are reading. Pass out the QR code and as students read the text, the QR code will take them to a supplemental video, article, picture that can be discussed. 7.) Gallery Walk is a teaching strategy that teachers can use to teach a desired content. Use the strategy with QR codes for students to access the questions related to the activity. 8.) When students are working on a project, require students to use QR Codes as a way to supplement the information in their presentation and then share the QR Codes with the classroom. If students are using a web-based program to complete the project, create a "Project QR Code Handout" that has QR Codes for the students projects that can be handed out to the students. 9.) Create a QR Code Dictionary for critical vocabulary that students are doing in the classroom. The QR Code will take students to the definition, examples, images, synonyms, etc. 10.) Place QR Codes all around a physical model (especially for science teachers) and each QR Code will take students to an explanation of the area. Here is the QR Code for this Blog Post. 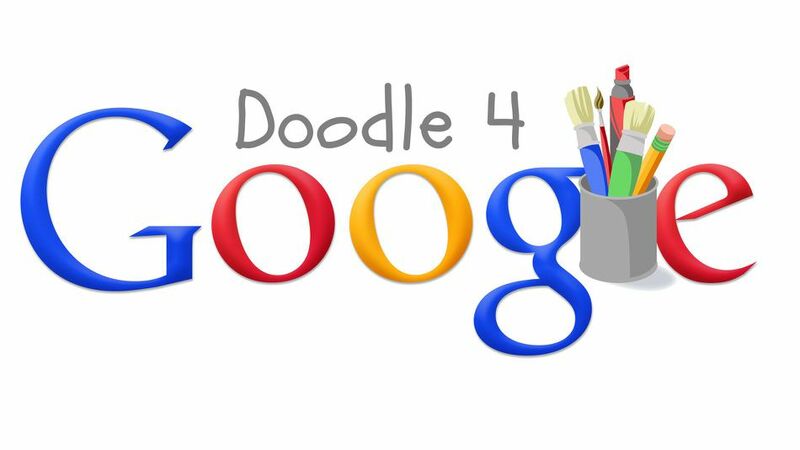 I have always been a big fan of the Doodle 4 Google contest because it helps bring Art to the digital landscape. I share it with the Art teacher at my school every year and he has had some good entries in the past; I am hoping that can continue. This years theme focuses on students dreaming big. Google is asking students to draw a Doodle that would answer the question "My Best Day Ever." The winner of the contest will see their Doodle appear on the Google homepage, receive a $30,000 scholarship, and help their school receive $50,000 for a technology grant. There are smaller regional prizes as well. You can learn more about the judging and prizes HERE. Voting will open for the 50 state winners on May 1st. All state winners will also have their artwork. Here is a video about this years contest. Google has provided some some resources for educators that can be used to provide information to your students and parents. Also a poster to advertise the contest in your classroom and school. The History of the Doodles is also an interesting read to learn about how this contest came about and the Doodles themselves and how the general public can submit Doodles outside of this contest. There is even a way to see all the Doodles from the past. So just the other day I wrote a post about the upgrade and new look of Wallwisher. Apparently I should have waited a few days because today, Wallwisher announced some awesome new features. The first new features is a new formatting toolbar. Users will now have the ability to make paragraphs, bold, italics, bullet, quote, etc. See the new toolbar below. However, that is not the most important improvement. Wallwisher now offers LaTeX, which is a mathematical function for creating math text formatting. This could be extremely useful for math teachers wanting to integrate Wallwisher into their classroom. See sample below. Other features include posts not restricting their size to a certain width, so typing can happen till you decide to go to the next line and then you can resize your text area. The quotes also indent and italicize for users as well. HTML can also be pasted and got some upgrades as well. Worth checking out if you have not already. KikuText is an additional method for teachers to engage in communication with parents. With the free version, teachers get 60 messages a month and 2 classes for messages to 15 parents. A pro version is just $10 a month and you get unlimited messages, up to 7 classes and 170 parents. With the service, parents would get a text message with a comment about their child which they can respond too. The conversation history with the parent would be saved so it can be viewed and know where the conversation left off. An inbox allows for easy viewing and conversations remain safe and private. Kikutext has messaging templates that make it easy to update parents about what the students are doing in class and they can be customizable as well. Scheduling of the messages is also available. To make it work, you provide a code to the parents that they text in and the information the parent provides is automatically captured. If the cell phone number of the parent is available, you can text them directly as well. See the SlideShare presentation for more information. Understoodit is a audience response services that allows users to get simple feedback on whether a lecture/discussion/activity was understood or not. 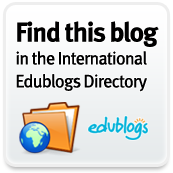 With the creation of an account (Free or Paid...although free is limited) users can provide students with a simple URL to provide to students. Using any device students can respond "understood" or "confused." As students answer, data is provided in real time informing teachers on whether or not re-teaching is necessary. See the video on their front page for more information. As a bonus, if you are interested in texting while driving and you have children of the driving age, you might want to look into Detext. It's a service that allows the parents to be the "Big Brother is Watching," over their child's cellphone. From a web browser, users can review driving history, restrict certain settings, and set up alerts, when a child is speeding for example. Receive alerts via text or email as they happen. I have always thought about a search engine for videos based on the content within the videos for when certain words were spoken as part of the dialogue. I always thought it would be great for finding and logging quotes from movies. Mobento, currently in beta, provides users the opportunity to do just that; search videos for words that were spoken. Since it is currently in beta, the database of films is not a large one, but as the word gets out and popularity grows, I can see the popularity of Mobento growing. 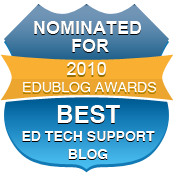 I recently wrote about Get Ed Funding, and after looking through my Google Reader I came across Grant Wrangler. This is a free service that provides a list of grants and contest opportunities for educators and students. With a decrease in funding consistently an issue in education, finding sources of money for projects, technology, and other resources is becoming another aspect of the education profession. It is almost to a point where Grant Writing should be an elective course in university teacher education programs. Through Grant Wrangler, users can search for grants and awards by content area and grade level. There is a bulletin that you can subscribe to as well that will update you as new grants are available. The main page also has featured grants that might be of interest. You can search by key word and provide a deadline to ensure you don't get results for grants that have passed up already. If you are looking for free money, check out Grant Wrangler. As schools and districts move towards "1 to 1" and to "Bring Your Own Devices," the process of taking notes will take on a new meaning. It the past couple years, for me personally, it has gotten to a point where writing for very long makes my hand hurt because I don't use a pen or pencil very often anymore. While attending Master's classes and Professional Development meetings, I have started using my laptop and iPad to take notes. I have a feeling this will become the trend in future years in education. As we move towards this, it will be important that students have a functioning way of categorizing and keeping notes organized. Here is a list of ten possible tools. Evernote - A staple among educators and almost a necessity for me these days; Evernote provides users the ability to take notes, save images, and other documents, as well as record audio to go along with your notes. For a lecture, this would make a great tool for students in the classroom. Evernote, like most of the apps I will share provides users the ability to share notes as well. This could be handy for teachers and students working on a group project. Evernote is available for desktops, mobile and tablet devices. Google Docs - A lot of schools have gone to Google as their choice for spreadsheets, word documents, and presentation tools. Google Docs provides great note taking opportunities and also makes is easy to share notes among other users. It is also available for mobile and tablet devices and notes are stored in the cloud for access anywhere. Fetchnotes - More of a to do App, but does allow users the ability to take longer notes as well. One sets it apart is the ability to apply hashtags to your notes for organizing them. This would be a helpful addition to labeling notes as you go and easily categorizing them as well. 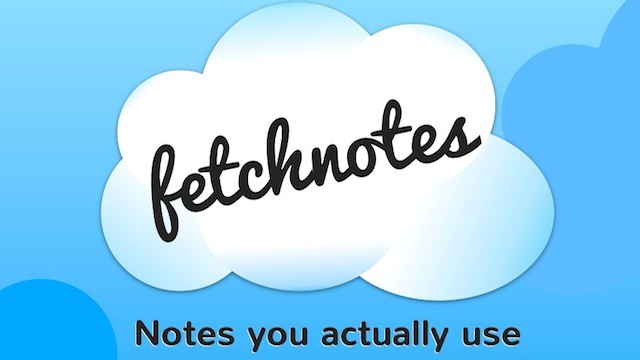 Fetchnotes is available for both Android and Apple devices. Jjot is another web app option that allows users to take notes in a post-it type format and makes the notes available from any computer. The notes can easily be shared and printed. It allows user to bold and bullet a list and each note can have a unique URL. Listhings is a cork board type notebook app that allows users to create notes and share them with ease. Not necessarily meant for longer note taking, but does provide the space if desired. Notes are stored in the cloud and therefore area available from any computer. Penzu - More like a journal, but when taking notes, organizing by date is very important. Penzu is an app that users can use to take notes and then easily share them with other students or teachers. You can also get Android and Apple version of the app for mobile devices. Simplenote is an app that makes taking notes...well, simple. Notes can be found on the web, desktop or on a mobile device. Search tools and tagging make it easy to organize and find your notes. Like other note taking apps, it also allows users to share their notes, making collaboration even easier. Quicklyst - A note taking app that helps users create outline style notes in a structure that helps with organization and understanding of those notes. Available for use on all devices and requires email and a password to get started. What sets it apart is the ability to include formatted mathematical equations. Workflowy - Another option for creating an outline style of notes and also viewing those notes in an easy way. Email and password are required for use and contains a lot of the other features note taking apps provide, but like Quicklyst, is an app for creating outline/list style notes. Notes.io is a simple, no sign-up required note taking app that allows users to easily type notes, then share them with a simple URL. Currently, printing, attaching, and sending directly are in the works to improve this service even more.